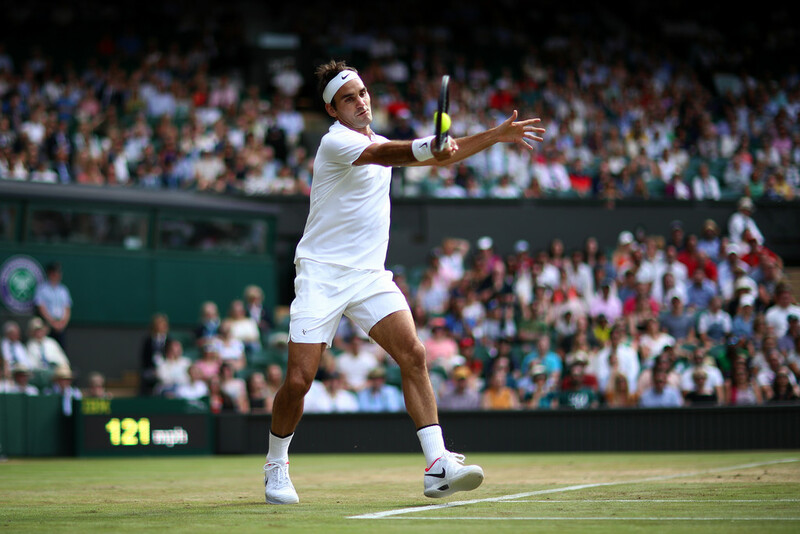 Seven-time champion Roger Federer beats No.13 seed Grigor Dimitrov 6-4, 6-2, 6-4 to move into his 15th Wimbledon quarter-final in just 97 minutes. Federer now stands alone atop the Open Era list for most Wimbledon quarter-final appearances. The 35 year old advances to his 50th Grand Slam quarter-final, another best in the Open Era. Federer is now 6-0 against Dimitrov in their ATP Head to Head series. The Swiss right-hander has won all but two of the 16 sets they've played since their first meeting at 2013 Swiss Indoors Basel. Dimitrov hadn't dropped a set during his first three Wimbledon matches and the 2014 Wimbledon semi-finalist had looked primed to challenge Federer. But the third seed was nearly untouchable in the familiar Centre Court environment. The two exchanged service holds until 4-4 in the first set, when Federer stepped up to break for a 5-4 lead. He'd serve the set out to love. Federer quickly pounced in the second set, seeing two break points at 2-2 after Dimitrov double faulted. The Bulgarian would finish with seven double faults for the match, compared to seven aces. And Federer would need only one break point in that fifth game, converting it when Dimitrov slapped a forehand wide. The 26-year-old Dimitrov struggled to challenge Federer at all in his service games. At 6-4, 4-2, Federer's average service game was lasting only one minute and 21 seconds. 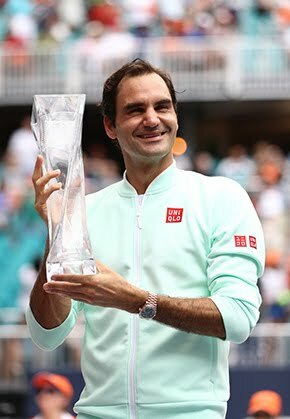 For the match, the Swiss right-hander landed 70 per cent of his first serves and won 75 per cent of his service points. The third-seeded Federer has yet to drop a set this fortnight, but he will face a stern test in the quarter-finals. 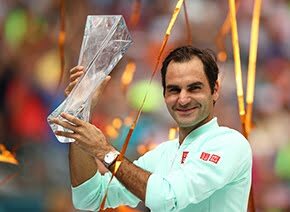 Federer will meet 2016 finalist Milos Raonic, who held his nerve - saving 14 of 17 break points - to overcome German Alexander Zverev 6-4, 5-7, 6-4, 5-7, 6-1 in three hours and 23 minutes. Tenth seed Zverev led by a set and 3-1 before sixth seed Raonic started his fightback, eventually finishing with 23 aces among 61 winners. There were only 17 rallies of nine shots or more. Raonic beat Federer in last year's semi-final in five sets to reach his maiden Grand Slam title match, but Federer leads their Head to Head series 9-3.